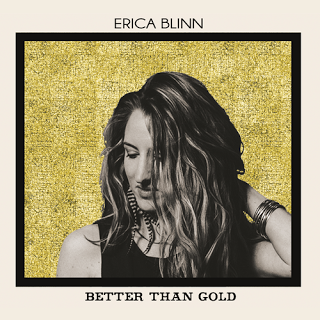 In case you missed it, E2TG premiered the new single from Erica Blinn this morning. Check it out HERE. Other than that, it is Friday - and this is my last post before Americana Fest madness gets underway next week... sort of... I guess Monday and Tuesday's posts will technically be before AMA Fest, but Monday night, I'm going to see Homemade Sin at The Family Wash. This is Homemade Sin without Dan Baird who is recovering from an illness. Warner Hodges and Joe Blanton (two folks who I have been fans off for over 30 years) will be helping to hold down the fort. Looking forward to seeing lots of friends that night. We start off with a first listen to Ali Handal's brand new album (as in out TODAY!). The album is called That's What She Said, and man oh man, I am digging this. Expect to hear more from this album soon. Next, the first of two tracks from Discount Ravioli's Baby Arm Sessions release. There is something delightfully refreshing about this oddball music. I am really glad I got to spend some time with (at least most of) Discount Ravioli last month at Athens PopFest. They are every bit as crazy, fun in person as they are on record. Sunnyside is one of my favorite albums of 2017. I dig this track. Jake La Botz is an actor as well as a singer-songwriter. Among other films, we appeared in the 2008 film Rambo - where Sly Stallone heard him singing and included a couple of songs on the soundtrack. Birth Love Hate Death is an album and rock opera from this band from Long Island. They define their genre as "classic rock" which (to be honest) can be a hit or miss proposition when it comes to new music, but in their case it seems to be much more hit than miss. It is original music that is a good reminder that the best of "classic rock" is classic for a reason. This track really made me think about The Kinks and I dig The Kinks. Track number two of the day from the lads from Connecticut. The words zipper situation makes me cringe a little bit... I've had one or two of those which were not particularly fun. This track is fun, though. Love, love, love this track from The Soul of John Black's latest album, Early in the Moanin'. Actually, I love the whole album. Check it out. As I have previously reported, Ugggy of E2TG Band of the Year (2016) has been releasing new music on the first of every month since March. The August 1 release was called TRIPTYCH, and it was one 12 min 12 sec track. The beats are other-worldly, the sampled dialogue is intriguing, and Ugggy's raps are so damn good! Since, there is no You Tube clip for this track, here it is for your listening/buying pleasure. And what a great way to end the week, "Mercy Now" is one of my all time favorite songs. I literally wept the first time I heard it (back around 2005 or so). The reason it is on my "New Music" playlist is because it is included on the recently released Strange Freedom: Songs of Love and Protest which was produced by Matt Hecht and released on Cafe Rooster Records. It is an amazing compilation of incredible songs, and it is so vitally important to be heard in the midst of these terribly troubling times. The version of "Mercy Now" on the album is an alternate take produced by Ray Kennedy. We sure could all use some mercy now.